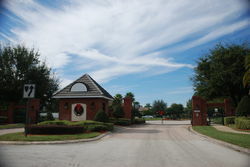 This gated community was originally developed by Beazer Homes. 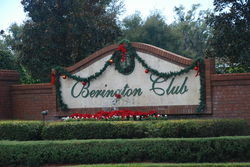 Berington Club has over 120 homes in a variety of flooplans ranging in size from 2200 to 3400 square feet under air. A well equipped playground and tennis court round out the amenities. It is located in Sanford west of Interstate 4 off Orange Avenue near Heathrow. Shopping and restaurants are close by in Colonial Town Park and Park Place. There are two easy points of access to Interstate 4, each less than 10 minutes away for easy commuting.